Holistic Care Approach was founded on the belief that achieving wellness from within is the key to physical and mental well being. Massage services were provided from an Ada location serving approximately 100 clients starting in 1998. In July, 2000 the business moved to the East Beltline facility and expanded our services. 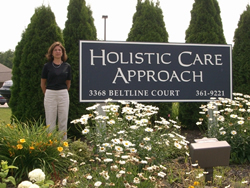 Today Holistic Care Approach is a multidisciplinary wellness center specializing in energy work (Reiki and Healing Touch), Acupuncture, and CranioSacral therapy. We provide a wide range of Therapeutic Massage methods including Couples Massage, Pregnancy Massage, Ashiatsu Massage, Shiatsu Massage, and Hot Stone Massage. Naturopathic medicine is available, with Doctors specializing in non-invasive techniques like NAET Allergy Relief, Kinesiology, Bio-identical Hormone Replacement, HCG Weight Loss, and Thermography. These holistic medical services are an excellent alternative to traditional healthcare options, and are conducted under the guidance of our medical director, Dr. Robert Grafton, MD. Our new HCA Skin Care Center provides a variety of services for common skin conditions, including holistic facials, rosacea treatment, age spot removal, acne treatment, laser hair removal and waxing, skin tightening, photofacial treatment, and more. In addition, we offer herbs, nutritional products, and a line of organic skin care products. There are several holistic program offerings, such as smoking cessation, nutrition, detoxification, and weight management, as well as classes and workshops like pilates and guided meditation. 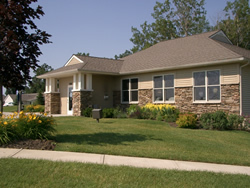 Services are provided to over 6,000 clients in West Michigan. The team approach, which begins with an initial consultation with one of our practitioners to develop an individualized program, differentiates the care we provide for our clients from other providers. The approach also includes hot towels, essential oils, and calming fountains in all rooms for a total healing experience. An initial consultation with one of our practitioners can begin the process of designing an individualized program that will help you achieve a whole new level of well-being. Holistic Care Approach accepts Flexible Spending and HSA Cards. We do not accept insurance at this time but will provide the necessary paperwork that can be turned into the insurance company for reimbursement.